I have been the Director of Endlismotion Industries Limited trading as TRENZ Homes Canterbury and West Coast since 2011. 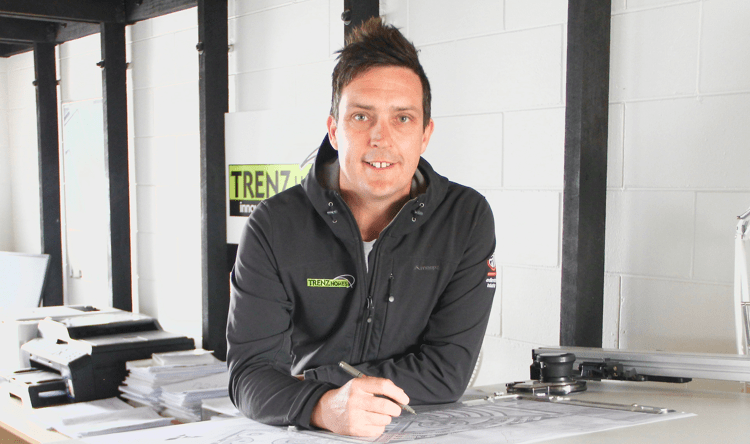 Born and raised in Canterbury, I got involved with TRENZ Homes as I saw an opportunity to offer people an easy step by step process to creating their dream home. I love working with my clients to build a relationship of trust. I encourage them to get creative with TRENZ Homes (and my own systems) to push the build boundaries, thereby creating their dream home with all the modifications to suit their exact needs – so refreshing in today’s building industry. There is nothing more exciting than seeing the key turn on a completed build that fits budget and is completed on time. Come and see what we can do to help you live the dream!